[130 Pages Report] The global self-healing materials market was valued at USD 49.8 million in 2015 and is projected to reach USD 2,447.7 million by 2021, registering a CAGR of 95.0% between 2016 and 2021. Self-healing materials are artificial or synthetically-created materials or products that have the built-in capability to automatically and autonomously heal damage to themselves without external or human involvement. Self-healing materials are largely used in concrete and coatings applications. Its market is witnessing high growth owing to the expanding applications areas, technological advances, and growing demand in Europe. The demand for self-healing materials is also backed by the growing building & construction market and increasingly stringent regulations on structural integrity. In this study, 2014 has been considered as the historical year, 2015 as the base year, 2016–2021 as the forecast period for estimating the market size of self-healing materials. Self-healing materials are expected to be cheaper in use in due time than their currently used traditional counterparts because of their increased reliability, low maintenance (fewer inspections and repairs), and longer lifetime. Maintenance costs of self-healing materials are expected to be less than that of conventional materials, because the material ‘maintains itself,’ and these costs do not have to be made, and on the other hand because it can be divided over a longer period. The depreciation costs, an amount of money to be saved yearly to be able to realize a comparable construction in X years, will also be lower, as the lifetime of self-healing materials is longer than traditional materials. This study aims to estimate the market for self-healing materials for 2016, and its projection by 2021. It provides a detailed qualitative and quantitative analysis of the market. Various secondary sources, such as directories, industry journals, and databases, have been used to identify and collect information useful for an extensive commercial study of the self-healing materials market. Primary sources, such as experts from related industries and suppliers, have been interviewed to obtain and verify critical information, as well as assess prospects of the self-healing materials market. Self-healing materials are composed of materials, such as concrete, coatings, polymers, asphalt, fibre-reinforced composite, ceramic and metals. These materials are supplied to the major self-healing materials manufacturers, such as Acciona S.A. (Spain), AkzoNobel N.V. (Netherlands), Applied Thin Films, Inc. (U.S.), Arkema SA (France), Autonomic Materials Inc. (U.S.), Avecom N.V. (Belgium), BASF SE (Germany), Covestro AG (Germany), Critical Materials S.A. (Portugal), Devan Chemicals (Portugal), E.I. Du Pont De Nemours and Company (U.S.), Evonik Industries (Germany), Sensor Coating Systems Ltd. (U.K.) and Slips Technologies, Inc. (U.S.). These manufacturers focus on increasing their regional presence by undertaking strategies such as expansion and new product development. In June 2014, BASF SE obtained a patent for the method of self-healing cured coatings. In May 2016, Evonik Industries acquired Specialty & Coating Additives business of Air Products (U.S.), which will strengthen its leading position in the high margin specialty & coating adhesives market. What are new application areas which the self-healing material companies are exploring? The global market size for self-healing materials is projected to reach USD 2,447.7 million by 2021, at a CAGR of 95.0% during the forecast period. 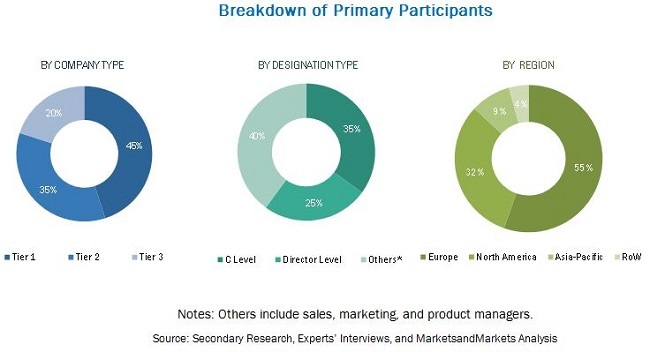 The market is driven by rise in demand in the Europe region, increase in awareness about the benefits of self-healing materials, and emerging building & construction and transportation sectors. Building & construction is one of the major markets for self-healing materials in developing as well as developed economies. On the basis of derivative, the global self-healing materials market has been classified into extrinsic and intrinsic. The capsule-based segment is the largest segment of the extrinsic self-healing materials market, in terms of value, owing to the material’s unique combination of properties making it useful for a number of industries. By material type, the report segments the self-healing materials market into concrete, coatings, polymers, asphalt, fibre-reinforced composite, ceramic, and metals. Asphalt is the fastest-growing application segment of the self-healing materials markets in countries such as Germany, France, and Netherlands. On the basis of region, the global self-healing materials market has been segmented into Asia-Pacific, Europe, North America, and RoW. Europe, North America, and Asia-Pacific are the major self-healing materials markets. The Europe region dominates the global self-healing materials market. The market in Asia-Pacific is estimated to record high growth owing to increasing demand from the automotive sector. The increase in demand for self-healing materials in North America and Europe is comparatively lower than that of Asia-Pacific due to the economic slowdown in these regions. Manufacturers of mobile devices seek to remove toxins, increase device consistency, and alleviate spoilage throughout the manufacturing process. Self-healing materials provide the wear resistance and lubricity needed for mobile devices that are made of plastics and metallic alloys. Self-healing materials are used for automotive material types to reduce friction, wear, and energy consumption, and improving fuel savings. Engineers within the aerospace manufacturing industry rely on self-healing materials for improving the wear resistance of aircraft engines, critical aftermarket components, and related parts. Manufacturers need efficiency and cost control to be competitive. Self-healing materials are protective and wear resistant, which extends part life and keeps replacement costs to a minimum. In some cases, self-healing materials can restore the product quality to higher than the original equipment manufacturer. What are the upcoming industry applications for self-healing material? Though the self-healing materials market is growing at a significant rate, lack of awareness regarding the benefits of self-healing materials among potential industries of developing countries hampers the market growth. Acciona S.A. (Spain), AkzoNobel N.V. (Netherlands), Applied Thin Films, Inc. (U.S.), Arkema SA (France), Autonomic Materials Inc. (U.S.), Avecom N.V. (Belgium), BASF SE (Germany), Covestro AG (Germany), Critical Materials S.A. (Portugal), Devan Chemicals (Portugal), E.I. 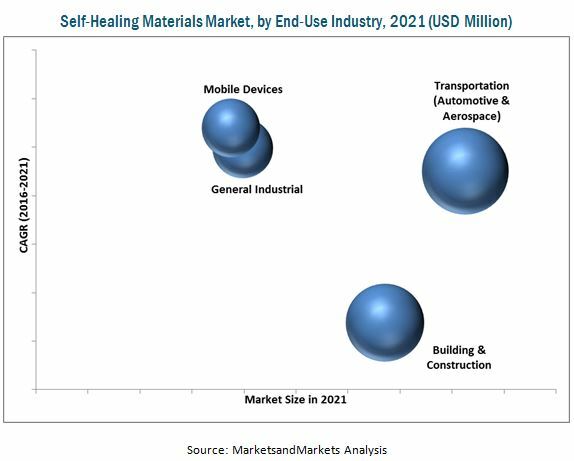 Du Pont De Nemours and Company (U.S.), Evonik Industries (Germany), Sensor Coating Systems Ltd. (U.K.) and Slips Technologies, Inc. (U.S.) are the leading companies in the global self-healing materials market. These companies are expected to account for a significant market share in the near future. 11.13 Sensor Coating Systems Ltd. Figure 24 Macroeconomic Indicators in U.S. Figure 31 Macroeconomic Indicators in U.K.